Want to bring back the youthfulness of your skin? Anti-ageing skin care. It’s a hot topic. Everyone is looking for the fountain of youth. An elixir that’ll transform skin by turning back the clock. In recent years, there have been some rather unusual anti-ageing rituals popping up. Snail slime, silkworm cocoons, bee venom and even bird poop to name a few. But if the idea of a snail gliding across your face doesn’t excite you, you can always opt for something more conventional. You can get a good night’s sleep. Eat a healthy diet that includes lots of fresh fruit and vegetables. Drink at least 8 glasses of water a day. 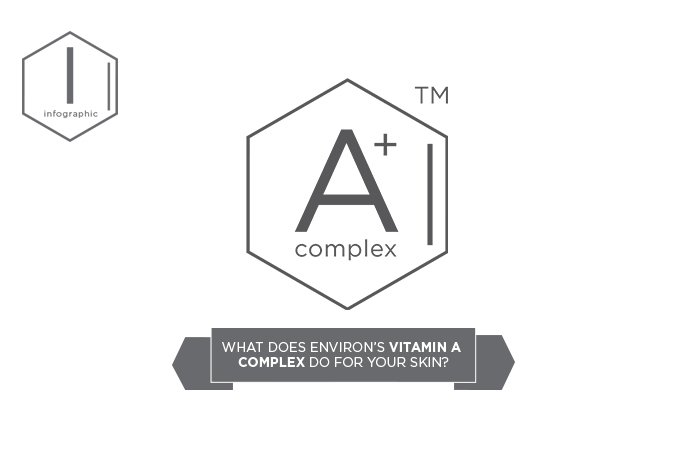 Environ skincare products are divided into 3 segments: Essential, Specialist and Perfecting, and by combining products from each of these segments, you can achieve that beautifully healthy-looking skin that glows with a youthful radiance. 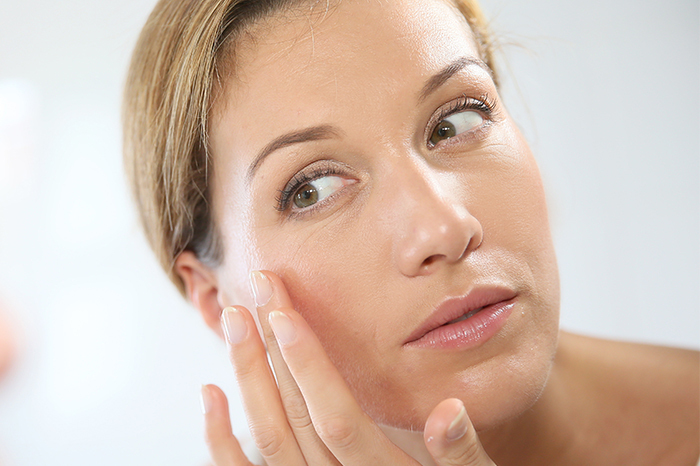 Step 1: After you’ve had your skin analysed by a Skin Care Professional, be sure to include an Environ vitamin A moisturiser from the Essential Skin Care segment into your skincare routine. The replenishment of your natural vitamin A levels is the foundation for a healthier-looking and functioning skin. Once your skin is accustomed to a low level of vitamin A, you will be able to increase the level of vitamin A by using Environ’s Vitamin STEP-UP SYSTEM™ range of moisturisers from either the Youth EssentiA® or Skin EssentiA® Ranges. Step 2: You can then add products from the Focus Care Range, which have been specially formulated to help target specific skin concerns like ageing, dehydration and sensitivity. Step 3: Now that your skin needs have been met, be sure to give it the finishing touch it deserves, by using our range of Even More™ Concealers and Foundations in the Perfecting Skin Care segment. 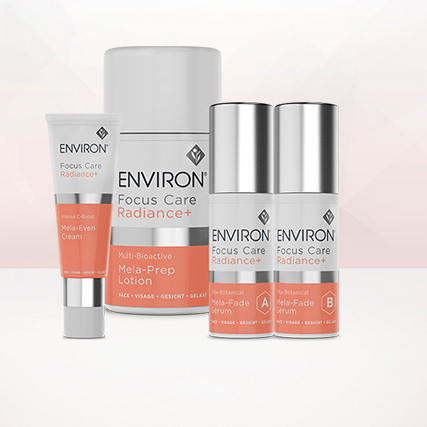 Environ Youth EssentiA® is our premium range that forms part of the Essential Skin Care segment. Its highly effective combination of powerful vitamins, peptides and antioxidants work together to create a healthier looking skin that glows with youthful radiance. The C-Quence Serums in this range form part of the Vitamin STEP-UP SYSTEM™, so always remember to start low and go slow as you up your vitamin A levels. These serums have also been designed to be used together with the C-Quence Crème in order to deliver optimal anti-ageing benefits. A rich and delicately fragranced cleansing lotion that helps to remove make-up and impurities, leaving your skin feeling clean, nourished and moisturised. A quick-absorbing eye gel containing essential vitamins, antioxidants and peptides to assist in hydrating your skin, improving skin tone and elasticity. This serum is the first level in the Vitamin STEP-UP SYSTEM™ and contains the lowest concentration of vitamins A, C and E, as well as antioxidants and peptides that work in synergy to help you maintain a smoother looking and more youthful appearance. When your skin is comfortable with Serum 1, step up to Serum 2 which contains a medium concentration of vitamins A, C and E, as well as antioxidants and peptides. Start low and go slow is the Environ advice. When your skin is comfortable with Serum 2, step up to this serum which contains a high concentration of vitamins, antioxidants and peptides. This serum contains the optimum combination of powerful vitamins, antioxidants and peptides and is the final level of the new Youth EssentiA® Vitamin STEP-UP SYSTEM™. This light, luxurious antioxidant-enriched moisturising crème assists in combating free radical damage and helps to keep skin moisturised and feeling soft and smooth. If you want to have healthy-looking skin that radiates with youthfulness, keep reading.